Yesterday was Talk like a Pirate Day! If you haven’t already grabbed the cheevo and items from that salty wench Isla “Big Tuna” Grier. 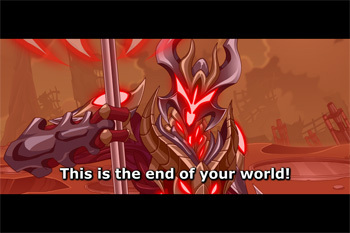 The Dragon’s Reckoning is coming to its epic conclusion with an epic cutscene! What will become of the Dragonoid? What about Dravax? Will Mirv finally get the praise and attention he craves? See Charfade in-game to find out! You may have noticed that you can now purchase hairstyles, and said hairstyles are yours forever. Changing between hairstyles or just changing your colors now only costs credits! Unfortunately, this is only relevant going forward, as we cannot figure out every hairstyle every player has ever had. But the Steve-bots are eager for you to get your hair did, so they’re offering a new, evolving Epic Stylist cheevo! Epicly stylish! Can you buy enough styles to unlock them all? If you follow any of the ED staff on Twitter, you may have noticed us posting codes periodically. What are these codes and how are they used? Currently, the codes can be redeemed for free Starter-Kit weapons, but we are expanding the system to offer a number of different prizes. Here's a step-by-step guide for redeeming these codes. Currently, you can get these codes by seeing us in person at a convention or by following us on Twitter! They primarily hang out in Central Station and Fortune City. You can use the Delta V map to travel quickly between areas if you don't feel like going on foot (or by bike). 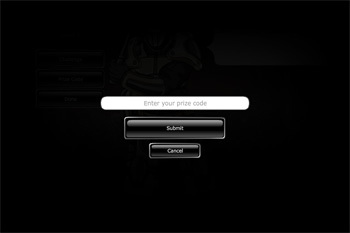 Step 3: Enter the Code and select "Submit"
These codes are currently one-time use so only the first one to redeem the code will get the prize. Stay tuned for more developments on this exciting feature as we add features such as more prizes, more redemptions per code, and more ways to receive codes! Something Ebil This Way Comes! 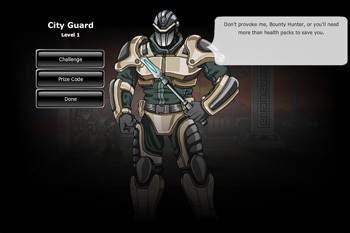 Some twenty years before the current events of EpicDuel, Baelius had a “falling out” with his investors and backers when he declared the colony on Delta V a sovereign state and declared war. 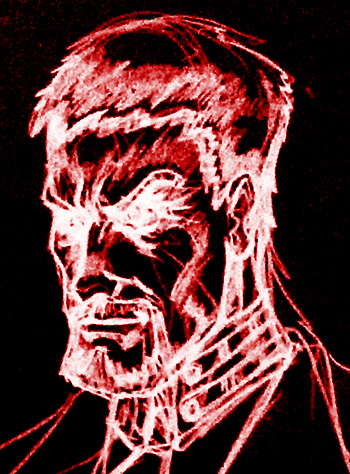 But not all of his backers turned on him -- Baelius’s war was partly financed by the mysterious and influential Chairman Platinum. Word has it that the Chairman is returning to inspect his investment. 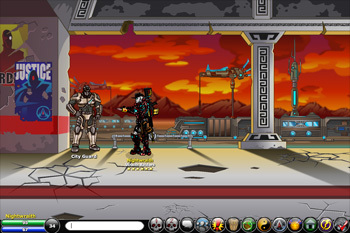 Is he coming to free the people of Delta V from Baelius' vile machination or will this be a hostile takeover? Knowing the Chairman, we suspect the latter. If you follow me on Twitter, you know that I had a pet caterpillar named Nova. Nova was a happy caterpillar, was hand-fed the finest tomato leaves whenever he was hungry. Eventually, he was slated to pupate (that is, metamorphose into his adult form), and after wandering for a bit, he turned brown and began pupating. He was also a lucky caterpillar -- I’d noticed that he had cleared an infection by braconid parasitoids. But his luck was not to last -- a few days after pupating, I noticed that his coloration was off, and there was a weird discoloration along his ventral nerve cord. Naturally, I observed, and much to my horror eventually Nova exploded, leaving a pile of slimy grey maggots. These are the larvae of tachinid flies (likely Winthemia manduca), which lay their eggs on lepidopteran larvae (ie. caterpillars), and develop inside the caterpillar. They’ll begin to devour the caterpillar from the inside during diapause and emerge. They’ll spend a day or two as free-living maggots, and pupate for 10-24 days depending on environmental temperature. As adults, they resemble house flies, and will repeat the whole process over again. As they reduce populations of lepidopteran pests naturally, they are attractive for use in integrated pest management. However, they are not extremely host-specific, and will attack related species to the target organism- eg. an East European tachinid fly introduced in the US in areas affected by gypsy moth has caused a massive reduction in Saturniid moth numbers.